The Evel Knievel Museum in Topeka, Kan., offers guests a way to integrate their experience. 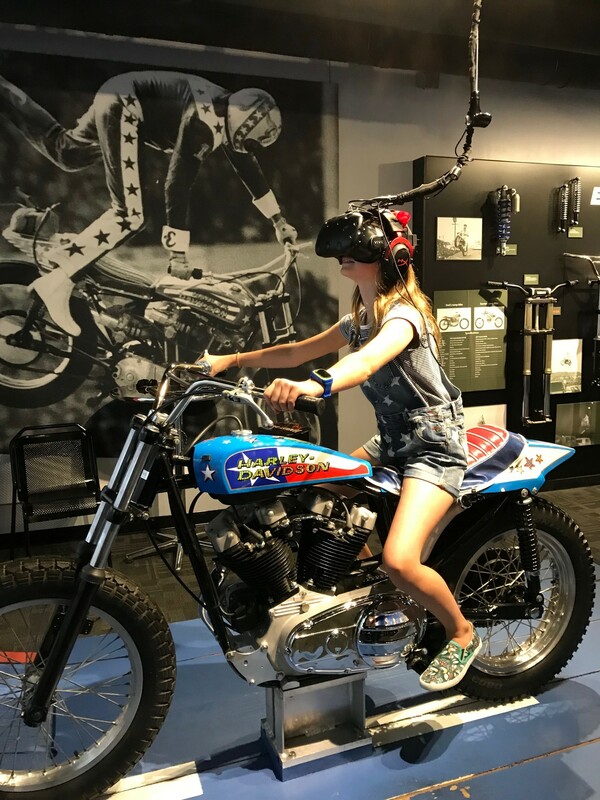 Museum-goers can sit on a replica motorcycle and jump a line of cars watching the scene through a Virtual Reality headset. To add to the sensory experience, large fans blow wind at your face while the sounds of a loud motor and cheering noises fill your headset as you embark on your daredevil stunt. Bridging digital and physical experiences are a proven way to better engage your audience (and a dizzying one if you’re leaping cars on a motorcycle). The 2019 USPS® Emerging and Advanced Technology Promotion lets mailers do just that by testing innovative technologies on their mailpiece:. Discount: 2% of eligible postage for First-Class Mail® presort and automation letters, cards and flats, USPS Marketing Mail® letters and flats and Nonprofit USPS Marketing Mail® letters and flats. Hey Google, How Can I Earn Discounts on My Mail Campaign? This promotion features new technology options for 2019 — mixed reality, addressable TV, shoppable video (as featured with Video in Print) and integration with digital assistants. Give your recipients clear, specific instructions to engage their Google Home or Alexa assistants with your mailpiece, and earn discounts on your mail. 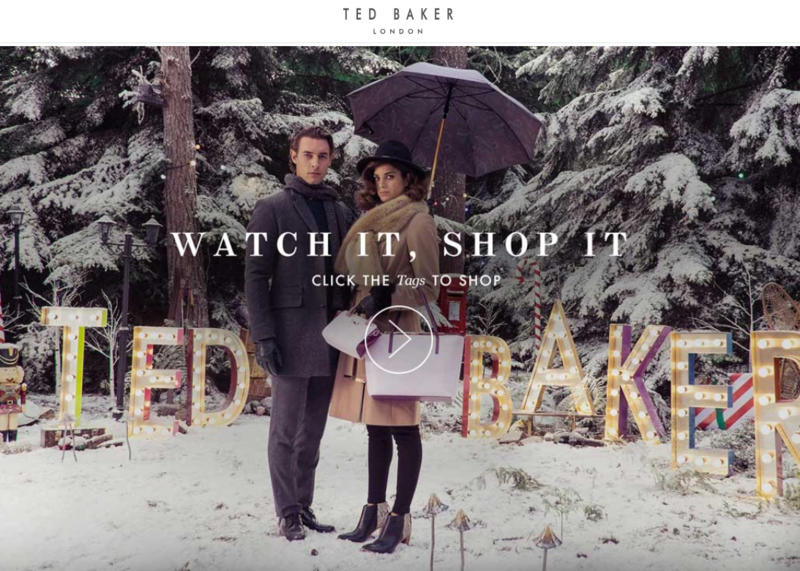 Have you seen all of the amazing things that can be done with ViP featuring shoppable video? This technology has a link in a catalog and/or mailpiece that leads to a video where users can click on select products for purchase. 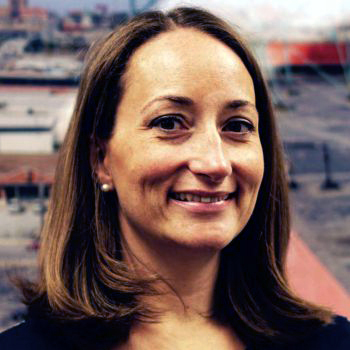 In a recent webinar, the USPS highlighted ViP shoppable video and a company who creates it — MikMak. MikMak CEO Rachel Tipograph was quoted stating once a MikMak video is loaded, nearly 14% of users add a featured product to their cart. Make your mailpiece come alive with an augmented reality (AR) code: Check out this direct mailpiece design from the Tension Design Group here. Be sure to check full program requirements here. The USPS gives all final approvals, and including one of the design elements mentioned above, does not automatically qualify you for the promotions. Mailers, incorporate technology on your mailpiece and prepare for a jump in your direct mail results. 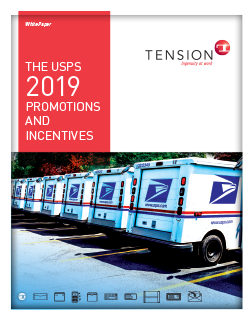 A Tension Sales expert can help you explore how to incorporate the USPS 2019 Emerging and Advanced Technology Promotion in your next mailing. Contact us to start the conversation today.